The stage is bare but for two chairs and a ubiquitous cardboard cutout of the Queen circa 1950s. Disappointingly, the cut out doesn’t appear to serve much purpose other than the odd glance for comedy, or as a prop holder – perhaps that’s the point? Cecilia Gragnavi, mainly playing herself, alternates between audience interaction and demonstrating moments from her past experience. Other characters make an appearance – Verity the obnoxious landlord, a caricature of the patronising, condescending Brit, simultaneously suspicious and dismissive. London is personified by voiceover, an omniscient presence heard a few times and mostly rude. But at a crucial point when Cecilia considers leaving, a few words convince her otherwise. The show is a collection of short scenes, where we are dipping into her experiences, with glimpses of other characters: immigration authorities, colleagues, parents, and passers by she has encountered. It’s difficult to distill ten years into an hour, so it feels more like an observation piece rather than a purposeful narrative. It ends with a brief impassioned glimpse on the Brexit referendum and ensuing chaos, and how it feels as a European. This is too brief and considering the current climate, the piece feels like it skims over the most relevant and moving point it tries to make. 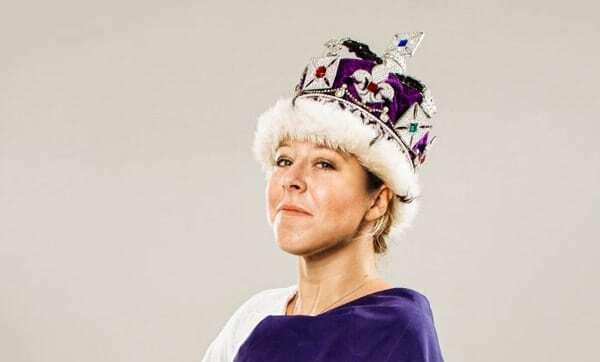 Gragnavi is a clear and confident performer in this one-woman show, holding the audience’s attention and getting them to play along. But overall, the work feels too simplistic – it’s unclear why certain moments are shared, or what is really at stake for the character, or indeed, what it is about London that makes it so crucial to her heart. It is enjoyable enough, with many moments of easy comedy, but there’s not enough substance to it. Expat Underground runs through 11 December.